The flexibility and peace of mind offered by CCTV has made it one of the fastest growing sectors within the wider security industry. Steelforce Security is at the forefront of this development. There are over 5 million CCTV cameras active within the UK, and those installed and maintained by Steelforce Security offer the best possible provision. 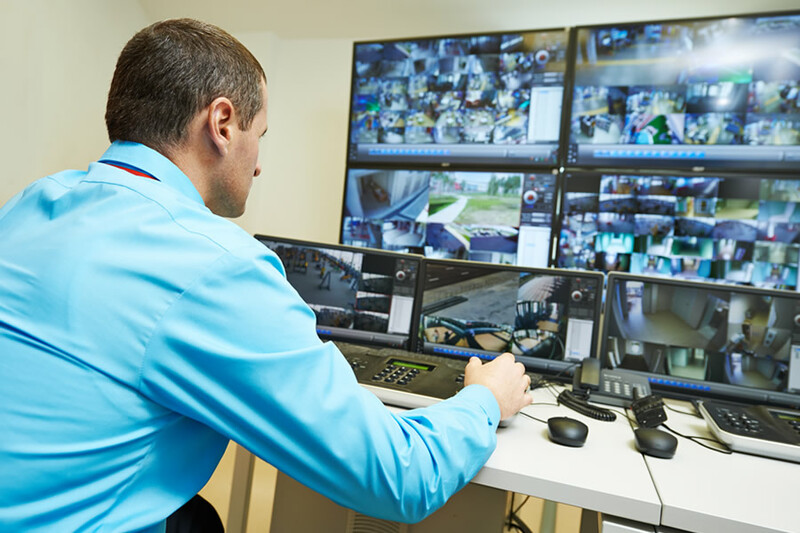 We have our own purpose built round the clock control room, from where our trained and SIA licensed members of staff are able to monitor the CCTV systems we’ve installed throughout the UK. If you have an existing system we offer online connection to our control room. From there we can provide the monitoring you need, whether that’s round the clock or simply out of hours. If we spot an intruder on your site, or an alarm is triggered, Steelforce Security will immediately dispatch the police to investigate. In the event of a break-in, attempted break-in or damage, we will contact a maintenance company of your choosing, and will remain on site until your premises have been secured. If your CCTV system is allied to our key holding service, we will immediately dispatch one of our SIA licensed Alarm Response Supervisors to liaise with any members of the police present. To arrange a free quote!